Aged 18 years and 359 days old, Colton Herta - son of former IndyCar driver Bryan Herta - beat the record for youngest winner previously held by Graham Rahal, who was 19 years and 93 days old when he won on debut in St Petersburg in 2008. It was also just Herta’s third race - not that you’d know it from watching him. After finishing a strong eighth in the season opener he qualified fourth at COTA and spent much of the race running in the top three, keeping pace with Will Power and Alexander Rossi and looking every inch like he belonged there. He made his final pit stop before the two leaders, at which point he had a bit of luck - Felix Rosenqvist was pitched into the barriers by James Hinchcliffe, triggering a full course yellow. Under IndyCar rules, drivers aren’t allowed to pit for the first few laps of a safety car period so Power and Rossi ended up being shuffled down the order (or at least, Power would have been had his car not broken during his stop). 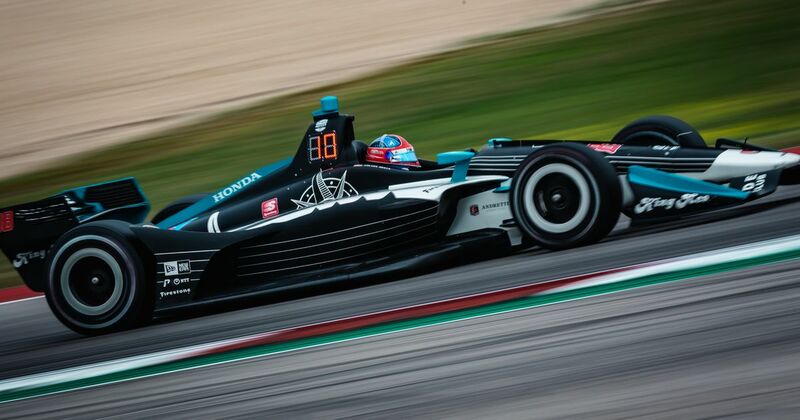 That left Herta in the lead with the tricky task of having to fend off two former series champions in the form of Josef Newgarden and Ryan Hunter-Reay - no easy feat, especially as Newgarden had an enormous amount more push-to-pass time left than Herta. As it turned out, the rookie needn’t have worried - he blitzed everyone at the restart and quickly pulled out a three-second gap which he comfortably managed until the end. Welcome to victory lane, @ColtonHerta! So, how does an 18-year-old (that means he was born in 2000, just to make everybody feel very old) react to creating history? Some epic donuts? A roar of emotion? Tears of joy? Not quite. Instead, he simply said, “I need a nap, man”. There was certainly nothing sleepy about his performance! Two races into the season and he’s second in the championship and has looked quick everywhere - we suspect it might not be his last win of the season. As for IndyCar’s first race at COTA, it was a definite success as a mixture of strategies created plenty of side-by-side action throughout the field. The only slightly weird thing was that officials decided that track limits wouldn’t be enforced, which led to the slightly odd sight of the racing line at the notoriously tricky Turn 19 involving most of the run-off area. Still, it’s probably better to do that than have a race filled with violations and penalties, or where some corners are policed heavier than others.